It might be tempting to speed right on by, but it’s worth stopping for a moment to gaze at element 24. Featured above: Harley Earl’s legendary 1951 GM LeSabre. My Apologies: I accidentally neglected to credit the musicians behind Eefen’ It Don’t Go, Chrome It. Ed Roth’s musical group was called The Weirdos, featuring the voice of Mister Gasser, off their album Hot Rod Hootenanny. Ed Roth was also the comedian behind Rat Fink, an illustrated character who was kind of an antithesis to Mickey Mouse. He had a big beer gut, bulging eyes, and sharp teeth. Self-moved, obedient to the beck of gods. In reality, it was, as always, the result of dozens of people’s inventions piling up over time, going back at least as far as Leonardo da Vinci (if you discount Homer). If you had to attribute it to one man, though, it would probably be Karl Benz. If vanadium is the green-blooded Vulcan of the periodic table, chromium might just be its goateed counterpart. Both are renowned for their colorful compounds, although chromium’s vibrant hues tend to make vanadium look rather dull in comparison. As neighboring transition metals, they have very similar physical and chemical properties. But while vanadium is a humble specimen, content to labor diligently and without recognition, chromium is an element that demands attention with its shallow surface that can be polished to a blindingly mirrored finish. Today, we’re reflecting on chromium. There may be no better example of the contrast between chromium and vanadium than their respective roles in the automotive industry. It’s a little-known fact that the Model T might have never rolled off the assembly line without vanadium. Meanwhile, chromium has been used famously in the history of automotive design, despite serving no practical purpose whatsoever. From hubcaps to headlights, some of the most celebrated cars of the twentieth century were positively dripping with chromium. That particular visual trend was heavily influenced by one man, Mr. Harley Earl of General Motors. Harley Early was born in Los Angeles in 1893, and spent his twenties in the family business: Building custom bodies for the neighborhood cars of Hollywood stars. It didn’t take too long before he caught the attention of the executives at General Motors, and in 1926, he packed up his life and moved to Detroit, where he became the head of GM’s newly created Art & Color Section. In order to create beautiful cars, Earl and his team needed to first overhaul the process by which those cars were designed. Rather than using a combination of old and new parts to build a new model, Earl pioneered an integrated process, where each component of the automobile would be created specifically for this design. Only one was ever made, proudly driven by Harley Earl himself on the streets of Detroit. But if the Y-Job set a tone for automotive design through the 1940s, the 1951 GM LeSabre was the concept car that defined a generation of American cars. These design choices would be imitated by every major car manufacturer in America, each trying to outdo the other for the entire decade: Wider bodies, taller tail fins, curvier Dagmars, and especially, more chrome. The competition soon reached absurd heights, and the driving public certainly noticed. In 1963, Ed Roth’s novelty music group released a song called “Eefen It Don’t Go, Chrome It,” wherein the singer brags about making his car seem faster by covering every inch in chromium: From the fan, to the fuelpump, to the dipstick, until the situation becomes truly ludicrous. Perhaps these trends went a little too far in the end, but there’s no question that Harley Earl brought the glitz and glam of his Hollywood home to the streets of Detroit, employing a team of visionary artists to unleash wheeled works of art that remain some of the most iconic automobiles in history. From pioneering an efficient annual design process to modernizing the car’s appearance, Harley Earl streamlined the automobile. Just a few years earlier, there was another automotive tycoon who became inexorably linked with element 24, but not because of anything to do with cars. Art Deco is a visual arts style that began in France in the mid-1920s. A product of the prosperous decade after the end of World War I, Art Deco built on the motifs of modernism, and celebrated wealth, social progress, and scientific invention. Coincidentally, an industrial process had recently been invented that made chrome plating much more affordable than it had ever been before. The pure bright shine of chromium fit in perfectly with those themes, and was used in everything from table lamps to tea kettles. Art Deco enjoyed international popularity, and wasn’t confined to any one type of medium. It was a prominent style in painting, sculpture, jewelry, industrial design, and architecture. It’s the last of these media that allowed for the creation of the grandest works of Art Deco, and perhaps the most famous of these monuments stands at the corner of 42nd Street and Lexington Avenue in New York City: The Chrysler Building. How appropriate that is, because the Chrysler Building embodies the excesses of the era in more than just its visual motifs, but in the story of its construction. 1929 was a year marked by a prolonged race to the top of the sky. The Chrysler Building was locked in a competition with 40 Wall Street, also under construction at the time, to see which would be taller upon completion. Serious bragging rights were at stake: Whichever emerged victorious was destined to be crowned the tallest building in the world. Walter Chrysler did not take this news well, and the situation was made all the more dramatic since everyone knew that the architects of both buildings were former partners turned bitter rivals. In public, however, Chrysler was impressively gracious. The public was baffled by his calm demeanor. Nobody knew that he had a plan to come out on top. Secretly, Chrysler and his architect, William Van Alen, scrapped the original dome design. By quietly shuttling extra materials to the upper floors of the building, laborers clandestinely started work on a 125-foot tall spire made of Nirosta, an extremely durable alloy of chromium, nickel, and iron.10 The entire effort was hidden from prying eyes by the very walls of the building it was designed to tower above. It soon became clear that the audacious stunt had been a success, and everyone, from architects to pedestrians, was able to breathe a sigh of relief. From that day forward, the earliest rays of the rising sun would strike the polished chrome spire of the Chrysler Building. Tragic, then, that it was only a matter of days after this act of architectural theater that the stock market crashed, heralding the start of the Great Depression. Fortunes that had been raised to such great heights on girders of chromium steel had all that distance to come tumbling down. Chromium itself also fell in status around the same time. The same scientific advances that had made the plating process affordable eventually got too good: chrome became an effect that was simply too cheap to be seen as prestigious. It even became possible to cover plastic products in a coat of the shiny stuff. Unlike aluminum, chromium is rarely lightweight enough to be worth using as a structural metal, so its beauty is consigned to only ever being skin-deep. The symbolism was lost on no one, and while chromium hasn’t lost its connotations of speed and purity, it has taken on a cultural patina of gaudiness and superficiality. Most people see these as undesirable properties, but a few decades later, along came an artist who saw kitsch as something worth cherishing. Perhaps the most infamous of his works is a series called Celebration, high-chromium stainless steel sculptures taking the forms of things like balloon animals and flowers. When viewed up close, it’s clear that they were created by highly skilled hands, capable of accurately mimicking the look of inflated latex in an entirely different medium. Except none of those highly skilled hands belong to Koons himself. He employs dozens of artists to carry out his vision in his Midtown West studio, but Koons never performs any physical act of creation. But none of that matters when the gavel comes down. In 2007, a heart-shaped sculpture from Celebration sold for $23.6 million, setting a record for the most expensive piece of art by a living artist ever auctioned. Koons himself takes these criticisms in stride, much like William Chrysler did when it appeared his building would not win the race of the skyscrapers. Koons steadfastly claims that his works hold no hidden meaning, and do not serve to comment upon the art world in which they profit. But it’s hard to say that there’s nothing deeper going on here. In such a layered context, what better mirror to hold up to the viewing public than chromium? With element 24, we once again have an element that we can add to our collections with a quick visit to the kitchen, depending on how motivated we are. Chromium is the necessary component that makes stainless steel stainless, and, of course, confers that beautiful shine that never tarnishes nor fades with time. If you’ve ever had the desire to start a spoon collection, here is your perfect excuse. If you’d prefer to add to the numismatic sub-collection we started with aluminum and Japan’s one-yen coin, you’ll want to keep an eye out for Canadian nickels. For a couple years in the 1940s and 50s, that coin was made out of chrome-plated steel. Of course, anything you can find that’s chrome-plated should make a good sample for the discerning collector. Even though it may only exist on the outside, that is pure, unoxidized chromium. As we’ve mentioned before, you can find chromium in all sorts of colorful compounds according to your budget — everything from green paint to emeralds and rubies. Unlike other samples in our collection, this is one element that you do not want to find flowing through your water pipes. Hexavalent chromium was the chemical responsible for poisoning the drinking water in Hinkley, California, a scandal committed to celluloid in the 2000 film Erin Brockovich. That film had a happy ending, in the form of justice served and a nine-figure settlement. Unfortunately, if you live in the United States, the story continues. A 2016 study found that over 200 million Americans are currently exposed to dangerous levels of the carcinogenic chemical.16 Hinkley was not an outlier, but a bellwether. Unfortunately, as American public infrastructure languishes and drinking water increasingly becomes the purview of for-profit companies like Nestle, this problem will likely get worse before it gets better. I can only offer my hopes that as you seek out this element for your collection, you’re able to keep it outside of your body. Thanks for listening to The Episodic Table of Elements. Music is by Kai Engel. To see photos of some classic cars and learn who did invent the automobile, visit episodic table dot com slash C r.
Next time, we’ll take a deep dive with manganese. This is T. R. Appleton, reminding you to restart Chrome to update. 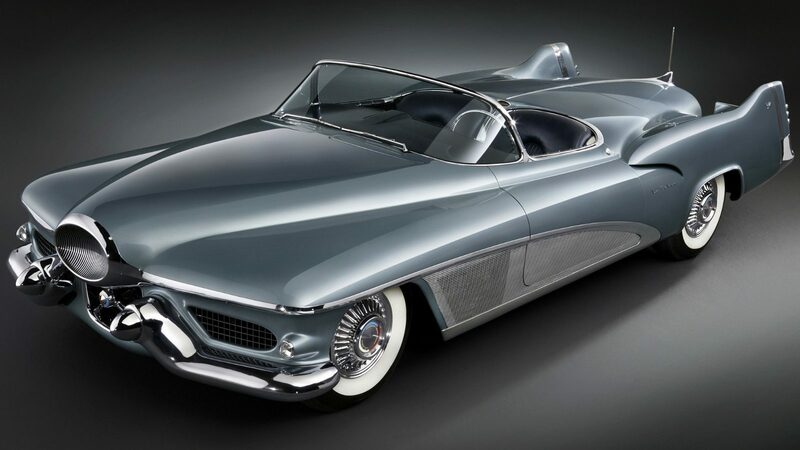 Petrolicious, The Designer’s Story: Harley Earl. Johni Parker, May 9, 2014. How Stuff Works, 11 Design Innovations Of Harley Earl. GM Heritage Center, 1938 Buick Y-Job Concept. Hemmings Daily, Cars Of Futures Past — 1938 Buick Y-Job. Kurt Ernst, November 14, 2013. How Stuff Works, 1951 General Motors LeSabre Specifications. Car Design News, Concept Car Of The Week: GM LeSabre (1951). Karl Smith, January 13, 1951. Supreme City: How Jazz Age Manhattan Gave Birth To Modern America, p. 259-260. Donald L. Miller, 2014. The New Yorker, The Silver Spire. Claudia Roth Pierpont, November 18, 2002. The New York Times, Streetscapes: 40 Wall Street; A Race For The Skies, Lost By A Spire. Christopher Gray, November 15, 1992. The History Of STainless Steel, p. 105. Harold M. Cobb, 2010. Chrysler: The Life And Times Of An Automotive Genius, p. 426. Vincent Curcio, 2000. The Art Story, Jeff Koons. The Village Voice, Jeff Koons Clowns Around The Whitney. Christian Viveros-Faune, July 2, 2014. Hyperallergic, Jeff Koons: Shiny On The Outside, Hollow On The Inside, Part 1. Richard Milazzo, January 31, 2015. The Cut, Jeff Koons Is Perfectly Happy To Bring You The Selfie Of The Summer. Isabel Wilkinson, July 16, 2014. The Guardian, Chromium-6: ‘Erin Brockovich’ Chemical Threatens Two-Thirds Of Americans. Tafline Laylin, September 20, 2016.